Sugar is a challenge for many communities. We accept it. In many countries, there are people who over consume sugar, both in beverages and in foods. This is where we, as well, need to act. We support the World Health Organization (WHO) in its goal that people should not consume more than 10 percent of their daily calories from added sugar. In Germany, we are backing the commitment of the European beverage association, UNESDA, to bring down the sugar content of our portfolio by a total of 10 percent by 2020. This requires major efforts. We are changing recipes, focusing increasingly on smaller packages and, last but not least, providing clear product information for consumers. We believe in a diverse range of products and the freedom of consumers to choose in an informed way. At the same time, there has already been for some time a verifiable change in our company. We spend a larger part of our marketing and research budget on products with reduced or no calories. We want to offer for every brand we launch a reduced-calorie or no-calorie variant. For all our big brands – in addition to Coca-Cola, for instance, Fanta, Sprite or, in Germany, Mezzo Mix – this is already the case. We improve recipes. For example, Coca-Cola Zero Sugar, which tastes even more like regular Coca-Cola and comes completely without sugar. Consumers appreciate this. 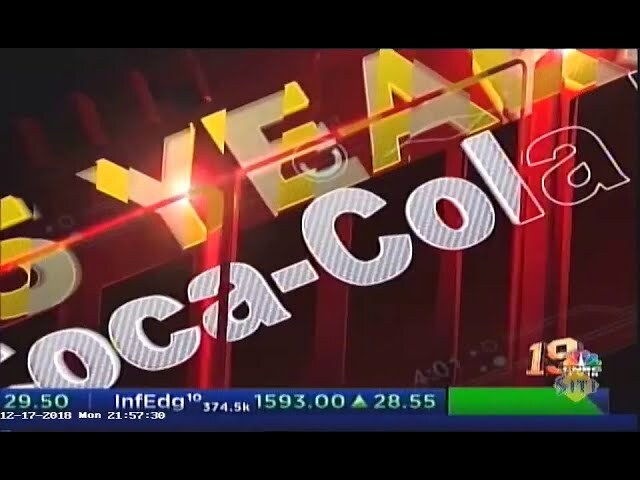 Coca-Cola Zero Sugar shows strong growth rates. Moreover, we have consistently extended our offering of smaller packages for years. In Germany, we offer, for instance, the 150-millilitre can again, which many consumers know from their plane travels. An example for a global success with local roots is Fanta. It is an innovation from our European business, brought to market decades ago. Today, it is available in more than 190 countries worldwide. In contrast, an example of a strategy set by our headquarters that is all over the world is our "One Brand" marketing strategy, which brings the entire Coca-Cola portfolio under one umbrella brand. We believe that Coca-Cola should be perceived as one brand with several variants, not as different brands. One of the most successful innovations in recent years is “Share a Coke,” where first names replaced the brand name on Coca-Cola labels. The idea came from Australia. Headquarters then tried several times to stop the idea. However, local management got its way. And it turned out that the idea was great. Consumers went crazy about it. We have since launched it in dozens of countries. It has been a big success in Germany, too. You have an advantage in your industry in that you are only marginally affected by digitalisation. That's not true. It starts with internal information technology. When IT and digital took off 20 years ago, we first wanted to do a lot on our own. We even had our own e-mail program and were one of the first in this field. We have changed our approach now. If a particular IT program does not have any specific benefits, we use the industry standard. Moreover, we know today how important it is that software programs can be used intuitive. For apps on your smartphone, you don’t need training. Robert Woodruff coined the motto that a Coke must always be within “an arm's reach of desire" for consumers. We now transfer this physical proximity to the consumer in the digital world. This means that in the future, our products must also be within a “click’s reach” of desire. In cooperation with our customers, there is digital change happening, too. Coca-Cola sales reps in Germany were among the first to work with iPads in the field, for example. How does the digitalisation in your industry work at the end of the day? In the United States, we use already tens of thousands of these machines. Our customers, restaurant owners, for instance, love them, because they allow them to offer a wider choice. At the same time, consumers benefit, too, because there have, for example, more low-calorie variants to choose from. In the future, it is possible to imagine that you can order your favourite drink and have it delivered using an app – for instance Fanta Lemon mixed with Coke Zero Sugar. This is, of course, still up in the air, but might become a reality in 20 years. The technology is already available; it is merely a matter of economic efficiency. Our position is clear: Diversity, openness and global trade create more growth, and that’s important, because without growth, there would be lesser resources to create a better life for more people. However, we must not ignore the fact that not everyone has benefited equally from globalisation. We must find ways and means to take those along who have not been so fortunate so far.